Three walks created by six artists with WORM as a starting point. In december 2014, en in samenwerking met Soundtrackcity, 3 wandelingen waren gemaakt door 6 kunstenaars, de meesten van hen uit Rotterdam, met WORM als vertrekpunt. De deelnemende kunstenaars waren: Gyz La Rivière (Rotterdam), Sara Pinheiro (Portugal/The Hague), Vincent Denieul (Fr/Rotterdam), Fiona Wier (GB/Rotterdam), Henk Bakker (Rotterdam) en Nicola Unger (D/Rotterdam). 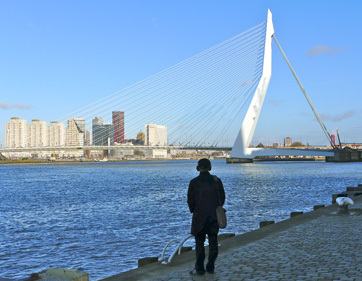 In December 2014, in collaboration with Soundtrackcity three walks were created by six artists, mostly from Rotterdam, with WORM as a starting point. All walks had their own very specific character. One of them was in English, one in Dutch, and one without human voices. But because the walks were not based so much on language and more on sound -the sound of the city- these sound walks were suitable for everyone. The participating artists were: Gyz La Rivière (Rotterdam), Sara Pinheiro (POR / The Hague), Vincent DENIEUL (FR / Rotterdam), Fiona Wier (GB / Rotterdam), Henk Bakker (Rotterdam) and Nicola Unger (DE / Rotterdam).